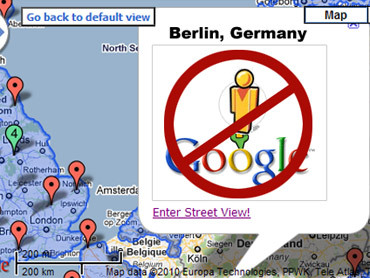 Spain is investigating Google over its "Street View" mapping feature, becoming the latest country to tangle with the Internet search giant over concerns it violated people's privacy while taking shots of city streets. Madrid Judge Raquel Fernandino has issued a subpoena for an Oct. 4 appearance by a Google representative, Google Spain spokeswoman Marisa Toro said Tuesday, adding that the company will cooperate with Spanish authorities. The judge is acting on a complaint filed in June by a private Internet watchdog and technology consultancy called APEDANICA. In an order released Monday, the judge said she is probing whether Google committed a "computer crime," according to APEDANICA attorney Valentin Playa. The Spanish probe is the latest opened up since Google acknowledged in the spring that the technology used by its "Street View" cars had also inadvertently recorded fragments of people's online activities broadcast over public Wi-Fi networks for the past four years. The Mountain View, California, company said it collected such data from public Wi-Fi networks in more than 30 countries, but it maintains it never used the data and it hasn't broken any laws. Google also is facing investigations or inquiries over this practice, which it says it has discontinued, in the United States, Germany and Australia.